Kerr got injured Feb 10, so he ended up missing 14 games. He was also one of their best defensive d-men and was on the PP. If you look at points per game he was quite a bit higher than Myllari and Autio. He only ended up 2 points behind them in 13/14 less games played. 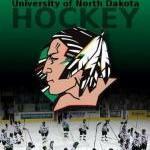 If Minnesota was weak than what was UND considering they couldn't beat them? Losing both Novak and Lindgren to injury was a lot for MN, especially Lindgren because they didn't have a lot of depth on D. The team was very inconsistent this year (saw it again in the game vs Notre Dame) and most Gophers fans knew they weren't major title contenders because of that inconsistency. The B1G was not a bad conference, though. I think most college hockey fans throughout the country would agree that UMD and Denver were the top 2 teams in the country the majority of the year, but outside of those 2 the rest of the NCHC was basically on par with the rest of the conferences. I know, but why come back as an assistant if head coach is what you truly want? Especially if you have head coaching offers. Unless he just doesn't want to be a head coach, which I'm sure is possible. I could see Grant getting the job as well. There's been talk that the only reason he doesn't have a head coaching job right now is due to his lack of head coaching experience. If Lucia thinks he can do it and puts in a word to the AD I could see that happening. I can't recall where I heard it, but I'm pretty sure somebody said that Lucia is planning on handing the head coaching job to him in the near future. I can't remember where it was...I think it was somebody on KFAN a few weeks ago. Obviously no way to know if that's true or not, but I wouldn't doubt it one bit. I just don't see why Guentzel would have stayed at Minnesota otherwise. That was ugly. Probably the worst game I've seen Minnesota play all year. They deserved to lose for sure. Hopefully they realize they're not locked into the NCAA's yet..
Just curious, would you bet on Denver to beat Ohio State at home? Because you would be 0-1 on that this year. If OSU can beat Denver on the road I would bet that Minnesota can beat both Denver and Duluth. Would they be underdogs? Absolutely they would be, but I think it's unlikely that they'd get crushed. The B1G is the 2nd best conference in college hockey this season with only 6 teams, so no, it isn't that bad. As a Minnesota fan this comment is almost exactly how I've felt more often than not the last 8 or so years. Nebraska is not going DI in hockey without a donor. It's as simple as that. They're trying to get their football team back up to where they think it should be and it's likely going to get even more difficult with the schools in their division making big hires and putting more money into the sport. For the time being any money they have is going to be heading towards football. As for the B1G sponsoring women's hockey...I don't think anything has been said anywhere. It seems like more of a "I think this will happen" statement than it does a fact. On a side note, I didn't recall ever seeing anywhere how much money the B1G hockey schools get from BTN. While looking to see if the Googles could find anything about B1G women's hockey I saw another Nebraska article with a tweet from Let's Play Hockey in 2013: I didn't realize they were receiving that much money. If that's what UND could get out of it then I think it turns into a no brainer. Agreed. It may not please all UND hockey fans, but being associated with the B1G conference + Notre Dame could and probably would be huge for the university. It gets the university noticed around the entire B1G footprint playing those teams, being talked about on BTN shows, having their highlights on BTN and being seen in the B1G hockey standings anywhere they are shown.